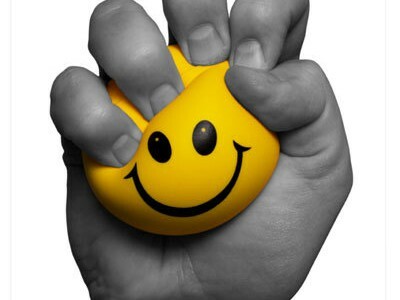 Want Lasting Stress Relief? Then you need to know these extra factors. Sleep deprived?Hungry all the time?What’s the connection? Could Adrenal Fatigue be the hidden cause of your Allergies? More Tips on how to Reap the Health benefits of a Good Nights Sleep. 5 SimpleTips to improve your sleep quality. How your sleep patterns can significantly affect your health, wellbeing, mental capacity and rate of ageing. Why you might need a Multivitamin/mineral supplement. Integrated Wellness Therapies shared a photo. Natural foods provide the body with nutritional building blocks for repair and growth. The 1000 calories from gummy bears will most likely end up causing sugar metabolism and hormonal disruption and weight gain . The broccoli would provide phytonutrients and body detox nutrients. Though j don’t know that anyone would choose kale over chocolate 🙂One of the biggest food lies of all time is that all calories are created equal. Food is more than just calories, it’s information that our cells need to function, information that our metabolism can use to either run efficiently or sluggishly trudge along. When you eat a piece of sugar, fruit juice or refined carbohydrates, it goes right to your liver, where it starts manufacturing fat, triggering more insulin resistance and causing chronically elevated blood insulin levels, driving your body to store everything you eat as even more belly fat. Broccoli on the other hand is rich in fiber and low in carbohydrates and sugar. You’d have to eat a huge amount of Broccoli to reach the same amount of calories that just one small bag of candy could provide, and thanks to fiber you’d be full long before that could ever happen. Eating well should not be all about watching QUANTITY, you need to be paying attention to QUALITY. Real foods like colorful vegetables, low-glycemic fruits, healthy fats (like nuts, seeds, avocados, olives, etc. ), gluten-free whole grains, legumes, and responsibly sourced animals proteins and seafood—the foods I recommend in my Pegan diet—are going to give your cells the information they need to function at their very best. Integrated Wellness Therapies shared a post. The University of British Columbia has released a study demonstrating that a high-fat, low-carb breakfast (LCBF) can help those with Type 2 Diabetes (T2D) control blood sugar levels throughout the day. "The large blood sugar spike that follows breakfast is due to the combination of pronounced insulin resistance in the morning in people with T2D and because typical Western breakfast foods -- cereal, oatmeal, toast and fruit -- are high in carbohydrates," says Associate Professor Jonathan Little, who teaches in UBC Okanagan's School of Health and Exercise Sciences. Breakfast is consistently the "problem" meal that leads to the largest blood sugar spikes for people with T2D. Little’s research shows that eating a LCBF is a simple way to prevent this large spike, improve glycemic control throughout the day, and perhaps also reduce other diabetes complications. Little's study determined that consuming a LCBF completely prevented the blood sugar spike after breakfast and this had enough of an effect to lower overall glucose exposure and improve the stability of glucose readings for the next 24 hours. Participants also noted that pre-meal hunger and cravings for sweet foods later in the day tended to be lower if they ate the low-carb breakfast. Little suggests this change in diet maybe a healthy step for anybody, even those who are not living with diabetes.